Getting enough truly restful sleep is one of the most biggest factors in staying healthy and balanced, mentally and physically. 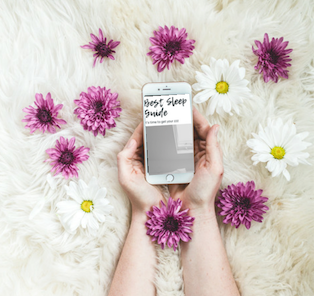 Read more below for our best tips to have a perfect night's sleep. 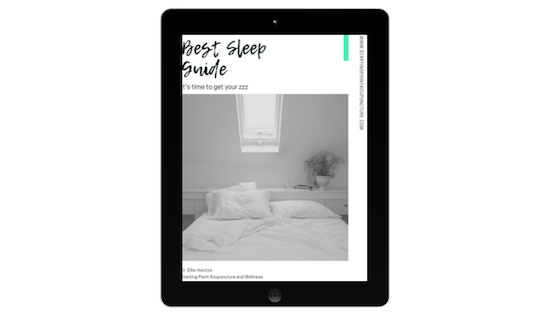 Grab Dr. Ellie’s top tips to better sleep guide for free. 1. Legs up the wall pose. This is a very simple, restorative yoga pose that can be done anywhere you have a blank wall space. To get into the pose, sit down on the floor with one hip as close to the wall as possible. From there, lie down on your back and swing your legs above your hips, so they are supported vertically by the wall and your head is away from the wall, facing the center of the room. Read more on yoga here. Get Dr. Ellie’s Best Tips for Better Sleep Guide here for FREE! At Starting Point, we help people get their health back on track. Sleep is the foundation for overall health and once regulated, energy, pain, and digestion improve. Give our office a call today at (425) 686-4498 to see how we can help! ← Can acupuncture help prevent allergies?